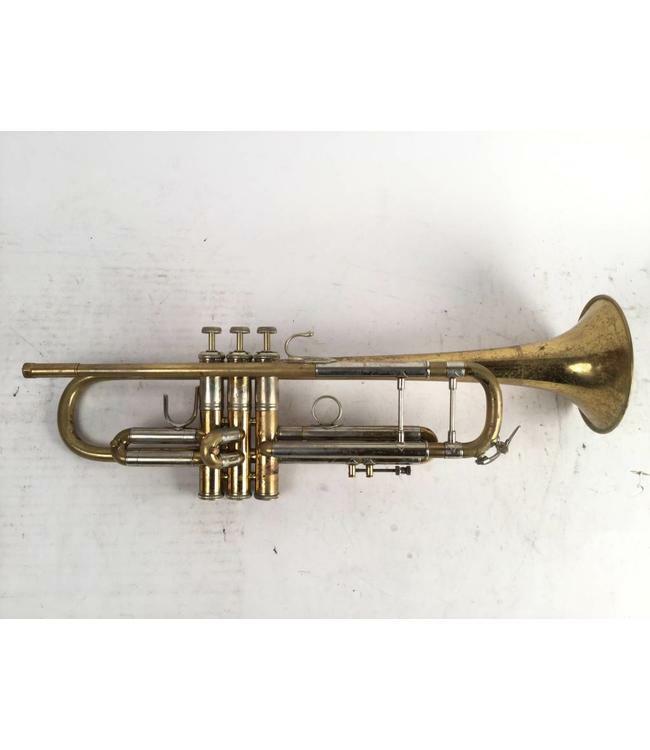 Used Bach 25 large bore Bb trumpet in lacquer and raw brass. This trumpet is in good overall condition with signs of wear through out. No case.